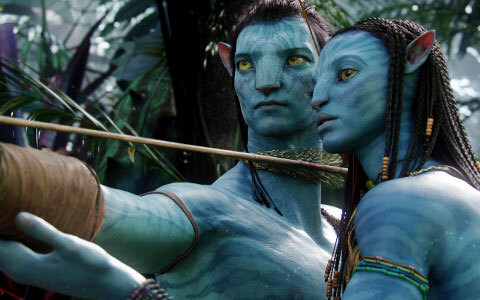 I finally saw the movie “Avatar” last night, probably making me the last person in the universe to see it. In case any readers out there for some reason haven’t seen it, I won’t give away the plot, other than to say it was in large part about a race of people on another planet who live in a stunningly beautiful wilderness and have an incredibly deep connection with nature. The movie speaks to this sort of organic yearning humans have to immerse themselves in nature. I know I’ve always retreated to the woods when I need to think and regroup. It always works. Something about the trees, the rocks, the sky just sets me right. I know this happens to a lot of other people.. The subject of how the human mind and nature interact is getting more scientific attention nowadays as some people get increasingly distressed about climate change, pollution and other real and perceived assaults on nature. The January 27 New York Times magazine had a great, detailed piece on ecopsychology that made a case for those who find the mind/nature link intriguing. I’m sold on the concept. One important reason I find solace in nature is it’s never malicious. Yes, it can hurt or kill you if you’re careless or the victim of bad luck. But unlike humans, nature is never mean, never mendacious. It just is. That’s not to say I have no faith in humans. Far more people have been kind to me than nasty. But in a world with its share of of wars, poverty, ugliness, pettiness and stupidity, a walk in the woods, no matter how brief, is the ultimate mental health break. This entry was posted on February 7, 2010 at 9:25 pm and is filed under Uncategorized. You can follow any responses to this entry through the RSS 2.0 feed. You can leave a response, or trackback from your own site. Matt, your comment on “a walk in the woods…is the ultimate mental health break” is so true. I for one find great peace in sitting and just being. I used to live in a Victorian house on the beach in RI and for me, whether with a cup of coffee in the morning or a glass of wine at night, the ocean was to me what the woods are to you. I could walk or just sit and look deeply into the waves and find myself lost in a yearning, a pull, a connection that was peaceful, gentle and mentally sensual. Too bad we’re always trying to intellectually understand nature and then attempt to control it instead of just being a part of it. Too bad we think of ourselves as complicated, superior creatures. Too often we miss the beauty in the simple. Loved the movie on so many different levels. It was beautiful. Beautiful message. Especially liked what you said about the pitfalls of trying to control nature, when we should just be part of it. You nailed it. I wish I could hike in Vermont. I really miss the state’s beauty. nature brings me peace. that’s probably why i try to walk in the woods every day.